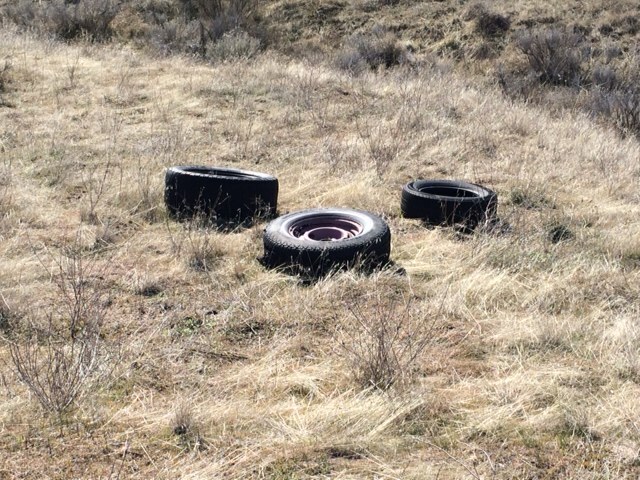 Ada County Sheriff’s deputies discovered an increase in trash being dumped in the Foothills off the 8th Street extension this winter and are working now to find out who is throwing tires, scrap metal, and other trash down the hillsides. 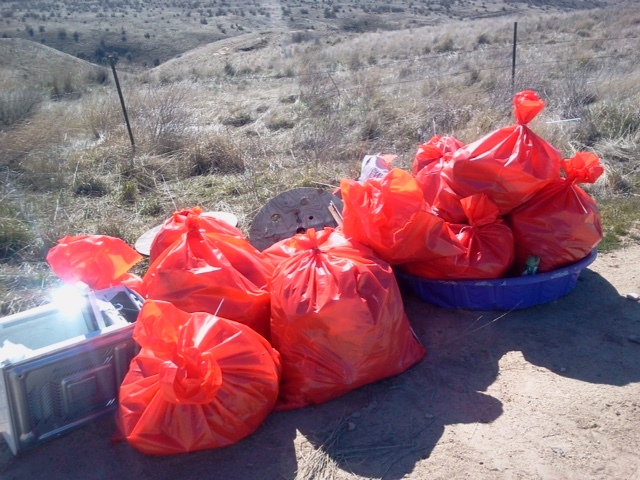 The ACSO inmate labor detail crew cleaned up quite a bit of the trash late last month but some bigger pieces remain. 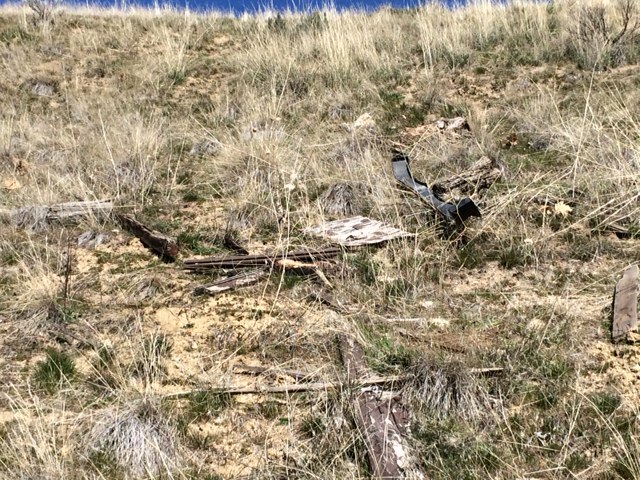 The fine for the misdemeanor charge of placing debris on public property can be as much as $1,000 — along with the possibility of up to six months in jail. That’s a lot more than the $11 it likely would have cost whoever dumped the trash to take it instead to the Ada County Landfill on Seamans Gulch Road. (The $11 is the minimum charge to dispose of a trash load at the landfill. The cost could be more, depending on how cubic yards of trash you have to get rid of). The concentration of the trash is just past the E. Curling Drive gate off the east side of the extension road.